One for your calendar, style crowd. London Boutiques are throwing open the doors to London's Music Rooms to welcome you into a discount extravaganza. 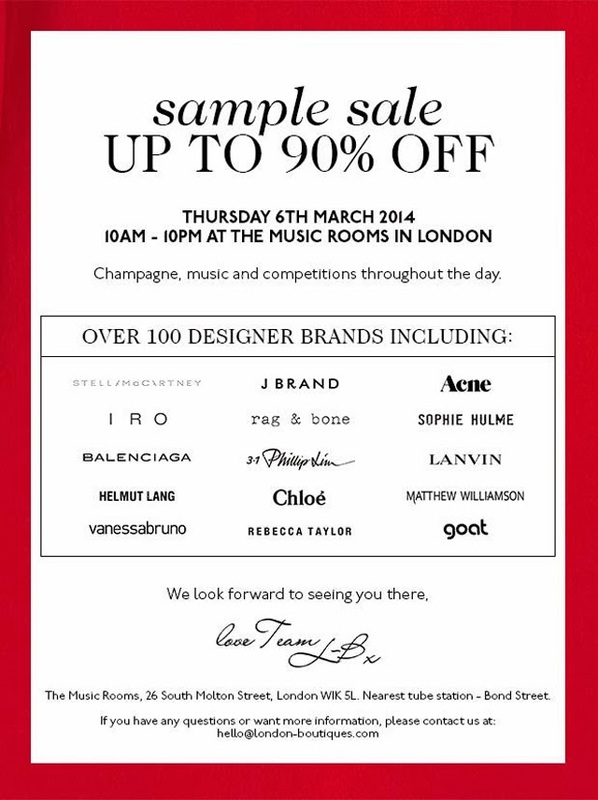 This sample sale is not to be missed so open your date books and circle the 6th of March with a big red marker. This is a 12 hour time slot for shopping til you your dropping. See you there!